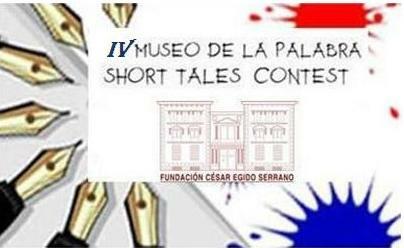 I have been informed that I was a finalist in the IV Edition of the Flash Fiction Competition César Egido Serrano, Museum of Words in Toledo, Spain. The contest was open in four languages, Spanish, Arabic, Hebrew and English. There was one runner up winner for three languages of a $2,000 prize, and a grand prize winner of $20,000. This year the grand prize winner was in English. An international jury of twenty-four ambassadors selected 250 stories from among the 35,609 entries from 149 countries. These were then judged by a Jury, composed of 20 creative writing professors. My story was among the 250 finalists.